It’s that time of year – family reunions, Christmas tree decorating and gift opening, New Year’s celebrations, and so forth. If you are a divorced parent, an important issue needs to be addressed during the holiday season – custody. Who gets the child, or children, during a respective holiday? In Texas, family courts often include holiday visitation schedule provisions in their custody orders. 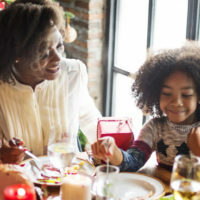 In many instances, holiday visitation schedules must be adhered to regardless of the logistical challenges of the parents (e.g., one parent lives in Houston, the other parent lives in New York). Most family courts only address the “major” holidays including Thanksgiving, Christmas, Mother’s Day and Father’s Day. However, your Houston divorce lawyer can request that additional holidays be considered and incorporated in the court order (e.g., New Year’s Day, Easter, Halloween, Fourth of July, etc.). Most courts adhere to the provisions set forth in Texas Family Code § 153.314. In most custody orders, holidays are divided on an even-year-odd-year basis. This often means the custodial parent will have the child for Christmas in odd years and on Thanksgiving in even years. This results in a parent not having the child for both holidays in the same year. What If You Cannot Abide By the Court’s Standard Holiday Order? You or your ex-spouse may find it difficult to adhere to the standard holiday order because of a last-minute conflict or specific religious teachings. In these situations, it is important for both parents to try and agree upon a holiday possession schedule that enables both parents to accommodate their family festivities and events. In fact, custody orders allow for a certain amount of deviation from the standard possession order. For example, Texas Family Code § 153.311 states that a court shall specify in a standard possession order that the parents may have possession of the child at times mutually agreeable to both parties in advance and, in the absence of mutual agreement, shall have possession of the child under the provisions set forth in the standard possession order. This means if both parents can agree on a modified holiday schedule in advance, then it is okay to deviate from the court’s standard possession order. In many instances, family courts actually encourage parents to work towards an amicable agreement that is mutually beneficial to both parents that respects their schedules and religious teachings. This is encouraged because if both parents are in agreement, it creates a more peaceful and stable environment for your child, or children, and allows them to spend time with both parents rather than just one. If you are getting divorced and have questions about parenting time during the holiday season, or you need assistance in reaching a mutually beneficial agreement with your soon-to-be-ex-spouse, now is the time to contact the experienced Houston child custody lawyers at Lindamood & Robinson, P.C. Our team of lawyers possesses decades of experience helping individuals move forward in the divorce process. Contact our office today to schedule an in-person consultation.